Side dish, serves 4, approx. 40 min. 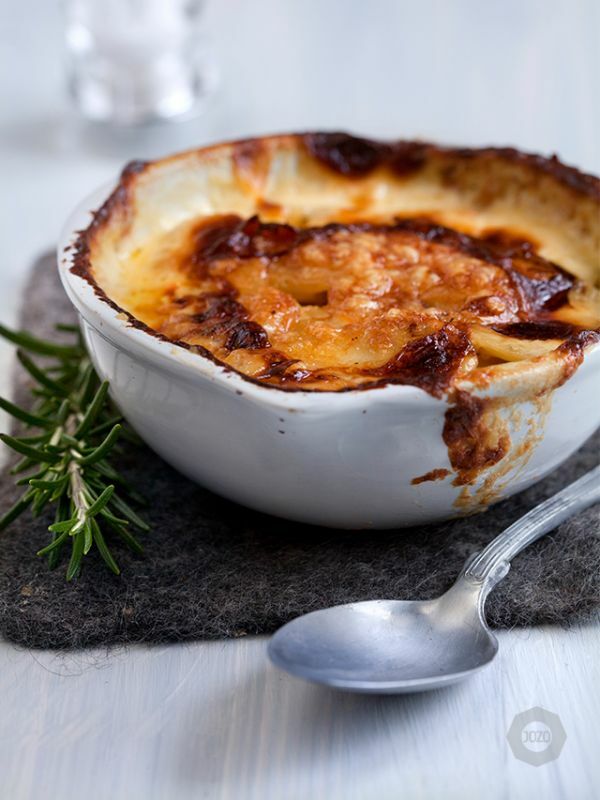 Creamy potato gratin is always a favorite and we make it a little extra exciting with dried porcini and tasty cheese. 2. Peel the potatoes and slice them really thin. Shred the onions and chop the dried porcini. 3. Put the mix of potatoes, onions, mushrooms and salt and black pepper in an oven-proof form. 4. Pour the milk and cream over the mix and sprinkle the cheese over it. 5. Put in the lower part of the oven and bake for about 30 minutes or until the potatoes feel soft and the gratin has a nice color. 6. Good for everything from wild beef to bird, flesh or fish such as monkfish or codfish. Available in: 500g Carton box.